OUR SUN, OUR PLANET EARTH & OUR MOON: How Were They Created? This book answers that question fantastically! 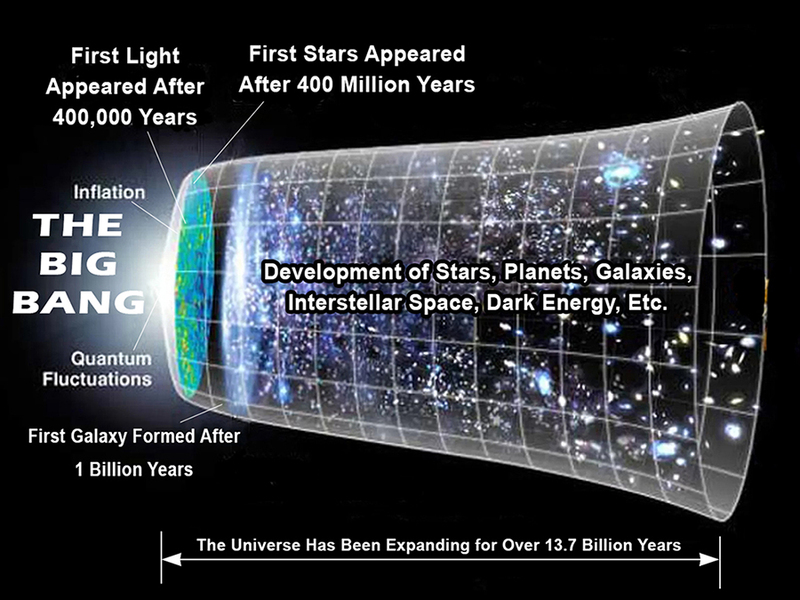 Figure 1.1 The formation of our Universe after Big Bang. AMAZING FACTS ABOUT OUR UNIVERSE! Did You Know The Following Scientific Facts? You will indeed be amazed to read through those scientific facts! DID YOU KNOW STARS MANUFACTURE PLANETS LIKE FACTORIES DO? OUR PLANET EARTH WAS MANUFACTURED BY OUR SUN! Figure 1.9 Formation of our solar system along with 8 planets, including our planet Earth. Our Sun manufactured 8 planets, including our planet Earth. Did you know the water that we drink to survive today is older than 4.54 billion years! hidden within the stardust particles until and after the formation of the Earth! This book will show you everything about it, including scientific research and journal publications! (meteorites/carbonaceous chondrites), not from comets like many people believe! Dr. Rao Konduru, PhD is a patient of mine who has suffered from chronic diabetes for most of his life; He also suffered from uncontrollable obesity, sleep apnea and chronic insomnia for the past 3 to 4 years. He has managed to reverse all of these conditions by taking non-pharmacological and science-based natural measures with great success. He has created 6 how-to user guides/books with regard to how he achieved this, and I recommend these books for anyone suffering from these conditions. In the first part, the author clearly explains where exactly in our Universe our planet Earth is located, and how exactly in our Universe our planet Earth possessed that much liquid water that we drink to survive today. The formation of liquid water and the formation of life on the planet Earth are the two nagging questions on everybody’s mind today. Answering these two nagging questions with reasonability and evidence would ease the mind. This objective has been fulfilled through an extensive research, descriptions, depictions, intuitive explanation, scientific evidence, and mindful clarification. The book begins with a clear description of the Big Bang, which took place 13.8 billion years ago, depicting the formation of the entire Universe beyond the speed of light at the time of its birth, stars, all galaxies including our Milky Way Galaxy, our solar system, including our Sun, our Earth, our Moon, other planets, comets, asteroids and near-earth objects. The author explores a broad spectrum of scientific evidence regarding the formation of liquid water on Earth, and includes important journal publications of scientists and astronomers. The author also shows the archaeological evidence of the history of human evolution on the planet Earth (Humanlike animals such as Lucy lived on Earth 3.18 million years ago), and reviews the seven theories of life formation. The author informs the readers that the water we drink today is older than 4.54 billion years, and that we should not drink raw water in the form it is available on Earth. Water purification is the most important aspect. The best purified water is RO water or distilled water. Remineralization of the purified water is also important. The reminder of the book or the second part is meant to advise the readers that one has to be wise nowadays in choosing and drinking the right kind of water available from a broad market research in order to protect one's health. Drinking any water, especially tap water, well water, or bottled water of any kind, without proper care would be a big mistake as a person could pay a big price in terms of jeopardizing the one’s heath. For example, read through the tap water disaster story (Chapter 5 Tap Water) that took place recently in Flint, Michigan, USA, and learn your lesson. The author’s research revealed the fact that the remineralization of purified water and improving its alkalinity has health benefits. However choosing and drinking the clean and healthy water with proper care and caution in this rapidly changing world is of utmost importance for you, your family and your children in the current-day circumstances. Did you know the average human adult body weight is approximately 60% water, and 99% of your molecules are water? This 455-page book overall is a highly-researched, well-documented, and impressively comprehensive review of hard work. -- Prime Publishing Co., New Westminster, British Columbia, Canada. The 'Drinking Water Guide' introduces us to the most basic and most complex forms of our biggest necessity - Water. The book is a comprehensive guide to staying healthy. We all read and follow tons of articles on eating healthy, in this one Dr. RK talks about Drinking Healthy. The story begins with the Big Bang and how water came to be a part of our planet Earth and then moves to how it ought to be in our body. If you want to know more and care more about the quality of the water you drink and how it can be improved for yourself and your family, this book will handhold you through the process. - Ms. Muriel D'Souza, Advertising Copywriter, New Westminster, British Columbia, Canada. Our Universe, our Milky Way Galaxy, our Solar System, our Sun, our Planet Earth & our Moon: How were they created? The author answers this question demonstrably through providing trustworthy scientific findings of astronomers, cosmologists, space researchers and scientists. Every reader would enthusiastically experience at his or her forefront the true identity of our Milky Way galaxy, our Sun and our planet Earth, which were safely immersed within our humongous Universe. I was really amazed by reading through the "amazing scientific facts about our Universe". It made me feel proud about the human intelligence and the sensational scientific progress that took place in our generation, and how far our astronomers, space researchers and scientists have come in discovering the identity of our planet Earth, our solar system, our Milky Way Galaxy and our Universe. I did not know and nobody ever told me until I read this book that stars manufacture planets like factories do. I am so proud to be aware of the fact that our powerful and enormously supersized Sun manufactured our planet Earth upon which all of us now live. I was more than astonished and openmouthed to learn that all those heavier elements of our periodic table, including the most important carbon & oxygen, were all manufactured in the burning cores of stars, and were dispersed into the interstellar space! It is astounding to know the fact that our solar system was created from a gigantic cloud of interstellar space dust and gas, which was already enriched by all kinds of heavier elements by other stars. When you look up at night, you are seeing “factories” called stars, without which the constituents for our entire natural world would not exist, including all those elements needed for the survival of every human being living on our planet Earth. Even though our planet Earth doesn't hold a birth certificate, the Drinking Water Guide unveils the most accurate age of our planet Earth (4.54 billion years old) based on the brilliant scientific research investigations by our highly intelligent physicists and scientists. Now we can celebrate the Earth day (April 22nd every year) more meaningfully. The author's approach is meticulous in providing the great scientific details on the origin of the Earth's liquid water, without which human beings would have not been existed. The subject matter is lucid and self-explanatory. How to purchase purified water in supermarkets at Refill Yourself Stations, or make your own, and how to alkalize and remineralize the purified water to make clean and healthy "mineral water" at home in order to enjoy the reported health benefits. How to purchase pH strips or digital pH meter, and monitor water pH and urine pH. How to purchase a TDS meter, and monitor the TDS (Total Dissolved Solids) level of any water. The book teaches how test and know whether the water you drink is indeed purified or not. The book also teaches how to adjust the pH of purified water to any desired level by adding a tiny bit of baking soda, pH booster drops or other minerals. The book also teaches how to remineralize the purified water by adding ConcenTrace mineral drops, Himalayan pink salt or Celtic sea salt to any desired level (200 ppm is the recommended level). The book also teaches how and where a person can research to purchase Water Ionizers, Kangen water machines, Hydrogen water machines and RO water machines that produce alkalized and remineralized water at home. Atmospheric water generators is a major highlight. The book describes about all kinds of drinking water available for human consumption, their defects, and appropriate "recommendations" on how to rectify those defects, and how to drink clean and healthy water in order to protect your health in the current day circumstances. Tap Water: The tap water disaster story (with regards to lead contamination) of Flint, Michigan, USA (during 2014-2015) teaches everybody a lesson, and the Drinking Water Guide insists that tap water is untrustworthy and warns everybody not to drink it under any circumstances (even if someone guarantees that the tap water there is safe). Spring Water: Dr. RK shows through his experimental findings and scientific calculations that the mineral composition of spring water being sold in the supermarkets is not significant enough due to the depletion of the aquifer from which the spring water is being collected by distributors. But consumers never observed this scientific fact, and this tradition of selling and drinking spring water in supermarkets has been going on for decades. Mineral Water/Bottled Water: Drinking Water Guide unmasks the deception of mineral water being sold as bottled water. Many people do not know that bottled water is made from contaminated tap water by adding artificial vitamins, minerals, artificial flavors, additives, and contains unknown dangerous contaminants. There is documented evidence revealing that bottled water is untrustworthy and unreliable, and purchasing it at a highly inflated price is a waste of money and it poses health hazards. Remineralization of Purified Water: Instead of drinking unpurified spring water with extremely low mineral concentrations, extracted from depleted aquifers, and instead of purchasing the contaminated mineral water in bottles at a highly inflated price, Drinking Water Guide teaches how to purify tap water, alkalize it and remineralize it to the desired level. RO Water & Distilled Water: Drinking Water Guide contains a wealth of information about RO water and distilled water. Everything you ever want to know about distilled water can be found in this highly-researched and elegant book. After reading this book, any intelligent reader can choose to drink RO water or distilled water because of its purity and avoid spring water because of its lack of purity and lack of real minerals in it, and will certainly stay away from the tap water, well water and bottled water. Akaline Water: Many people, mostly Kangen water fans, drink alkaline water every day which is not a healthy habit. Drinking Water Guide cautions that drinking too much alkaline water on a daily basis could shift the normal blood pH (between 7.35 and 7.45), and could develop alkalosis (presence of excess base), and this condition could affect the proper functioning of lungs, kidneys & liver. At the same time, Drinking Water Guide recommends that drinking limited alkaline water periodically every now and then is healthy. Ionized Water, Kangen Water & Hydrogen Water: If you want to learn the basic principle behind the water ionizers, Kangen water machines and hydrogen water machines, and the selection of the right kind of machine for your home use, this book Drinking Water Guide will teach you everything you ever need in great scientific details. Atmospheric Water Generators: The demand for Atmospheric Water Generators has been growing fast in the Middle East where drinking water scarcity is a major concern due to growing environmental issues, developed by oil reserves. This book provides the details on how to understand the atmospheric water, and how to research, find and get a water generator installed if need arises. Hydrogen Water: Hydrogen water is the latest wellness trend to hit the US and UK markets. After vitamin-fortified water, health buffs are now switching to hydrogen-enriched water with much-touted benefits such as reducing inflammation, wrinkles, bone loss and help metabolise fat and glucose faster. All contents of book “Drinking Water Guide” are intriguing. Every reader (it doesn’t matter what kind of educational background he or she has) would be delighted to read and learn the extremely useful information, and update his/her water-drinking habits in no time by reading through the RECOMMENDATIONS at the end of each chapter. Drinking Water Guide is a must have book by every household and every library of any community, school, college or university of every village, town or city around the world. The author of this book titled “Drinking Water Guide” assumes no liability or responsibility including, without limitation, incidental and consequential damages, personal injury or wrongful death resulting from the use of any treatment method presented in this book. A person should have a thorough understanding on the potential risks of choosing and drinking purified water, alkaline water, hydrogen water, atmospheric water, or use of any filtration unit or water pitcher. Misusing the drinking water strategies without a clear concept on how to control pH and TDS (Total Dissolved Solids) could lead to adverse and serious side effects. More specifically, adding baking soda and/or mineral drops to purified water for remineralization in an attempt to prepare alkaline water requires experience and a thorough understanding on how to do it correctly. A reader should seek appropriate medical advice when using the methods illustrated in this book. All contents in this book are for educational purpose only, and do not in any way represent the professional medical advice. Copyright-2019 © by the Author! The Book "Drinking Water Guide" Has Been Registered Under ISBN # 978-0-9731120-4-7.